Buyers think of value, but they’re more concerned with price. And your home’s price is one of its most attractive — or unattractive — features. The right price can attract buyers, quickly. It’s your agent’s job, as the real estate expert — mining his or her expertise and knowledge of the market — to determine the best price for your home. But it’s your house. You need to have your own idea of how much your property is worth. Here’s how to get it. This is crucial. Your agent brings the right mix of industry expertise and knowledge of your local market to the table. To understand whether your agent is pricing your home properly, read through each of the steps below. Use what you learn about your home’s fair market price to evaluate any price your agent recommends. You’re a team. It’s in both of your interests to price your home correctly — a timely, profitable sale is win for everyone. Pricing a home is both art and science. To understand what will inform your agent’s pricing decisions — and to be prepared to bring your own educated input to the conversation — start with a pricing research phase. This includes taking advantage of online estimating tools — but only to an extent. Property websites like realtor.com® and Redfin enable you to plug in your home’s address to see approximately how much your house is worth. They base their estimates on your home’s square footage and real estate data they’ve collected, such as recent home sales in your local market. But those results are estimates based on generalized factors, not your unique situation. If at any point the price you see in an online calculator doesn’t align with what your agent suggests, prioritize the agent’s advice. Online estimators also have a reputation among real estate professionals for misleading buyers and sellers alike with less-than-optimal pricing information. But as a starting point, they have their utility. What your home’s listing price should be largely depends on what similar homes, or “comps,” recently sold for in your area. To price your home, your agent will run the average sales prices of at least three comps to assess your home’s value. Agents will look into the difference between each comp’s listing price, and the price it sold for. He or she will consider price reductions and why they happened, if relevant. All the while, your agent will also rely on inside knowledge of housing stock and the local market. That nuanced understanding is invaluable, particularly when measuring the unique aspects of your home with raw data about comps. When selecting comps, agents generally look for properties that sold within a one-mile radius of your home, and in the past 90 days. They find these homes using the multiple listing service (MLS), a regional database of homes that agents pay dues to access. In addition to recently sold homes, your agent will also look at properties that are currently for sale in your area. These listings will be your competition. But because listing photos don’t always tell the full story, a good agent will check out these homes in person to see what condition they’re in and to assess how your home sizes up. You can do the same. For additional perspective, you can also get in touch with your local association of REALTORS®. Ask if they have information to offer about your neighborhood and the local market. The housing market where you live can greatly impact your pricing strategy. If you’re in a seller’s market, where demand from buyers outpaces the number of homes for sale, you may be able to price your home slightly higher than market value. But if you’re in a buyer’s market, where buyers have the advantage, you may have to price your home slightly below market value to get people interested. You can see local market trends by checking the online resource realtor.com®. It offers charts that display important housing market data, such as a city’s average listing price, median sales price, and average days a home is on market. It’s a lot of information. At any point, you can ask your agent to help you make sense of how your local market will influence your home’s price. As previously mentioned, many sellers think their home is worth more than it is.Why? Because memories. Because sentiment. Because Pride. But you have to stay objective when assessing your home’s value. Buyers, after all, won’t know your home’s personal history. What makes your home special to you may not be something that entices them. Read: They may want to convert that craft room you worked so hard to perfect into a man cave. The lesson: As much as possible, set aside your emotional attachment to your home. It will make it easier to accept your agent’s realistic, clear-eyed calculation of its price. As you and your agent are talking price, the local market may throw you a curveball or two. In some markets, for example, it could make sense to price your home slightly below its fair market value to spark a bidding war. Of course, there’s no guarantee a pricing strategy such as this will pay off. Similarly, there’s no one-size-fits-all playbook. Your home should be priced for its own local, or even hyper-local, market. Period. Confer with your agent before you decide to try any market-specific pricing tactics. 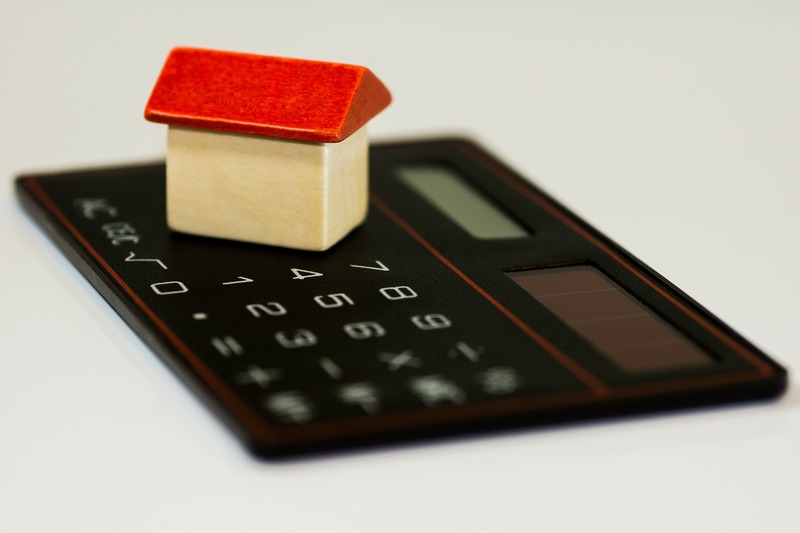 Pricing your home requires careful attention. In some cases, fair market value may not be precisely what you should list it for — and the reasons can be subtle. For example, if comps show that your home is worth $410,000, setting that as your asking price can backfire — the reason is that buyers who are looking online for properties under $400,000 won’t see your home in search results in that case. This explains why many agents use the “99” pricing strategy and, for example, list $400,000 homes for $399,000. The idea is to maximize exposure. Not the sole decision maker in your household? Talk to your partner about your home’s price before it’s listed. You can use this worksheet as a guide for that discussion. The reason isn’t just to foster the kind of open communication that’s important to any relationship. It’s that if you’re not on the same page about price or the other things that are important to you about sale, each subsequent step of the selling process will be impacted by that tension. You’ve considered your agent’s advice, and the two of you have agreed on the right price for your home. Hey, champ! Your house is on the market. Even after the listing date, price should be an ongoing discussion between you and your agent. Markets are fluid, so it’s possible that you’ll have to make tweaks. In any case, it’s important to to stay in continuous dialogue with your agent, the MVP of Team Sell Your House. Together, keep your eyes on the price.